Bible.org's commentary on Genesis chapter 20 today titled "Don't Ever Say Never" is at this link and commentary on chapter 21 titled "What Happens When Christians Mess Up?" is at this link. New Testament - Today in Matthew chapter 7 we wrap up the Sermon on the Mount! Not a bad 3 chapters of teaching from Jesus, eh? :) Verse 20 was insightful for me today: "Yes, the way to identify a tree or a person is by the kind of fruit that is produced." I think this verse goes back to my post yesterday about how we are still to identify or perceive the types of people we come in contact with - without judging them or condemning them. And one good to way to identify someone is by the type of fruit they produce - actions they demonstrate or lives they lead. And while it may sometimes be easier to identify other people's fruit... maybe we ought to look at our own lives too. What type of fruit is your life producing? Is it life-giving fruit for those you come in contact with? And let us not forget Jesus' warning in verse 15 today about how we are to identify false teachers. 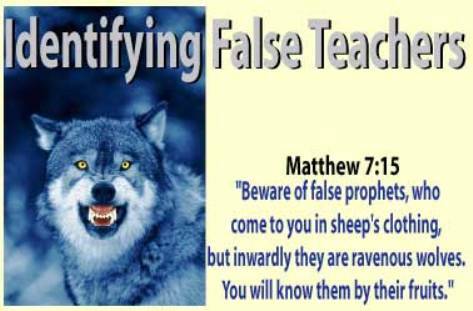 Do you believe there are false teachers in our world today? What are their fruits that you will know them by? Verse 24 is strong: "Anyone who listens to my teaching and obeys me is wise, like a person who builds a house on solid rock." Have you really listened to Jesus' teaching these past few days as you read through the Sermon on the Mount? 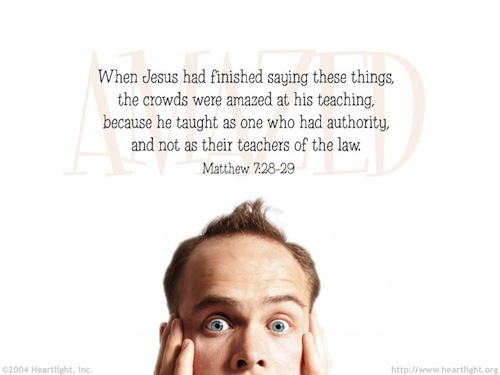 And - will you now obey Jesus' teaching? Would this be wise? Would this be like building a house on solid rock? Will you stay out of the sands of sin? Matthew 7:25 I think is an important verse for us to meditate upon in our own lives: "Though the rain comes in torrents and the floodwaters rise and the winds beat against that house, it won't collapse, because it is built on rock." I never paid too much attention to this verse - I always focused on verse 24 and building a strong foundation on solid rock. But, I had lunch with a friend recently and he shared with me that this verse 25 - and verse 27 too - should be a reminder to each of us that storms will come in our lives. And I think this is so true. Sometimes we go through wonderful seasons of blessing, and we may think that storms will never come our way - but guess what, they will. If we are followers of Jesus - Jesus who endured an unimaginable storm during his passion and crucifixion - storms will come our way too. So, then, the key becomes if we know storms will come, we really should pay attention to verse 24 and build up a strong foundation of faith during the times of calm. It's kind of like the idea of saving for a rainy day - the day will come when it rains. So let us build up our faith and love in God, Jesus, and the Holy Spirit today! So that when the storms of life come our way, we will not collapse, but will remain faithful to the beautiful end. My friends, the storms will come. But with Jesus, we do not need to fear them or collapse under them when they come! 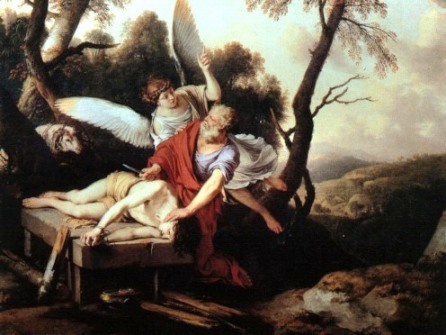 Bible.org's commentary on our readings in Matthew chapter 7 today titled "Mistaken Identity" is at this link. Psalms - Psalm 9 verse 9 stood out at me today and reminded me of Matthew 7:25 above too: "The LORD is a shelter for the oppressed, a refuge in times of trouble." When we are in trouble, do we run to God for shelter? Or do we look elsewhere? Where will we ultimately find true peace and rest from the storms of life? 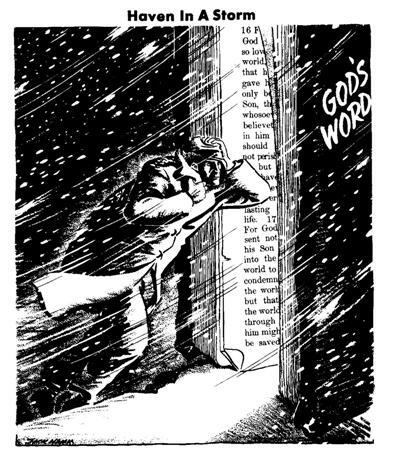 Do you believe that the Bible is a haven for you in the midst of the storms of life? Proverbs - Proverbs 2:16-19 I believe can be viewed as woman or man. There are both immoral men and women out there today who will talk flatteringly - which will lead down an incredibly dark path if we entertain the lust. Verse 20 reminds us there is another path to take: "Follow the steps of good men instead, and stay on the paths of the righteous." Will you evaluate all of all the paths that present themselves to you in your life - and stay on the paths that are taken by good men and women? Will you stay only on paths full of light, and avoid at all costs paths that lead quickly to darkness? Worship God: Jesus' teachings about storms in Matthew today and Psalm 9:9 above both reminded me immediately of the incredible Casting Crowns song "Praise You in This Storm." I don't know what it is about all these storm songs on the radio that are resonating with me lately - MercyMe's "Bring the Rain" being another favorite song - other than I know this: It's not a matter of "if" storms will come in our life. It's a matter of "when." Storms will come. And when they do, we have the option to try to weather the storms all on our own. Or we have the option to invite God into the storms with us. Well, I believe God's already there with us in the storms even if we don't realize it - so, I think we can simply open our hearts and praise God in the storms! He will never abandon us or leave us. Even in the midst of the worst storms this fallen world might bring, God is there with us. Will you praise God in the storms? Prayer Point: Pray that you will hear God's Word in your life this year. Pray that you will put God's Word into practice in your life this year. Pray that your life will be built on the rock that is Jesus. Pray that Jesus will sustain you in the storms of life, now and forevermore. Comments from You and Questions of the Day: Based on the knowledge that storms will come into our life, what are you doing in your life to build a firm foundation of faith? 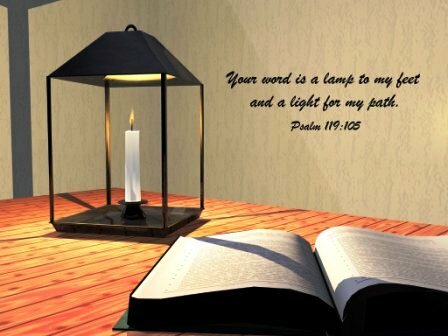 Reading the Bible regularly? Going to church regularly? Being part of a small group or community group or Bible study with other Christians regularly? Praying regularly? What else? Do you think that storms will come to your life? Have you experienced storms in your life in the past where your faith has been your firm foundation and has gotten you through the storm? Also, what verses or insights stand out to you in today's readings? Please post up by clicking on the "Comments" link below! Regarding Sarah being old. Beauty is in the eye of the beholder and yes, the standards of beauty are different in every culture and historical time fame. Take a walk through an art gallery that covers a large time frame, let’s say centuries, and you will see a time-line of the changing standards of beauty. It is this society, the MTV, every household, or at least every tiny village worldwide has someone in it with a television society that has begun to worship “youth” and held it up as THE standard of beauty. We have grown accustom to looking at the outside, ignoring the inside. The world sees everything from the outside in, God sees things from the inside out. Also if you think that there are no beautiful “old” woman, then you may be operating on assumptions. If you think old equals ugly, then an older woman who is beautiful may be passed off by you as being young or younger. Old and young are all relative terms anyway. Many daughters have done virtuously, nobly, and well [with the strength of character that is steadfast in goodness], but you excel them all. Charm and grace are deceptive, and beauty is vain [because it is not lasting], but a woman who reverently and worshipfully fears the Lord, she shall be praised! 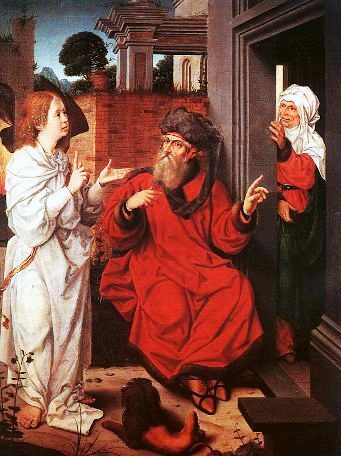 Even if people lived longer, the biblical texts points out that both Abraham and Sarah were long past the age of child bearing, though men have the capacity to father a child long into their “old” age. 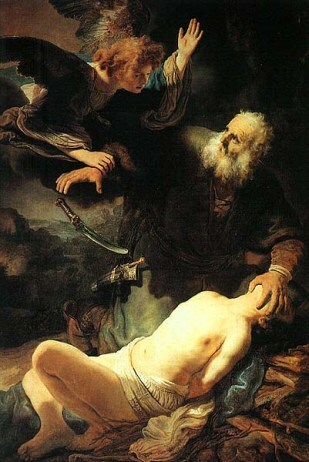 The question for Abraham was did he have the capability physically to father Isaac. Both seem to know that in the natural, without God, no children would be forthcoming. And God said to Abraham, As for Sarai your wife, you shall not call her name Sarai; but Sarah [Princess] her name shall be. And I will bless her and give you a son also by her. Yes, I will bless her, and she shall be a mother of nations; kings of peoples shall come from her. 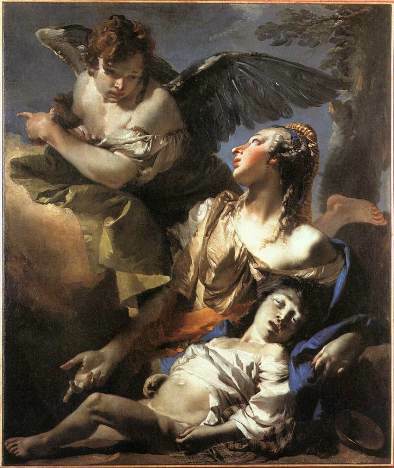 Then Abraham fell on his face and laughed and said in his heart, Shall a child be born to a man who is a hundred years old? And shall Sarah, who is ninety years old, bear a son? Looking at the pattern of God we will see that He has this habit of always picking the week, the underdog, the one who in their own strength cannot accomplish anything. In fact, if Abraham and Sarah were able to produce children on their own then God would not get the glory. They were a “sign” and a “wonder” to all those around them that indeed, there is a God above all other gods, a God that can resurrect dead things and dead people. 1) I am standing firm on the Word of God and reading, praying, -keeping your joy is important. 2) Yes, I stay in a faith-based church, will attend a new community group(aka bible study) because iron sharpens iron. 3) Yes, storms will come we just have to stay grounded in the Word. Yes- the passing of my mom- one of the hardest moments of my life and my faith in God and love for me got me theough. 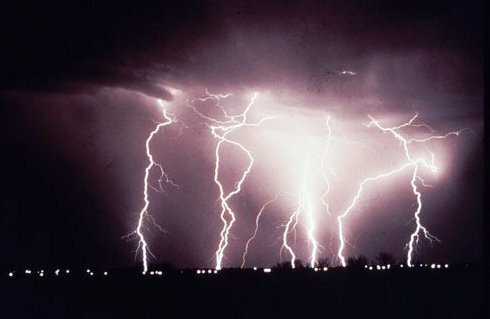 Storms of life...yes they are real and yes they do come but our God is faithful to lead out of the storms. Our daughter Mikelli passed away 02/17 tragically in a car vs. train accident. We had already gone through 2 rough years with her rebelling but we got to watch God bring her back to Him before she passed. We miss her and love her but stand by the truth that He holds the keys to the Kingdom where else are we going to go. God showed us through her passing how much we were loved through our church family and our Pastor. The storms will pass but we should draw closer at all times and Praise Him In The Storm. Reminds me of James 1:2-3 My brethren, count it all joy when ye fall into divers temptations; Knowing this, that trying of your faith worketh patience.